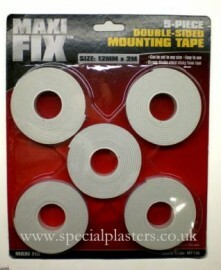 Double Sided Mounting Tape. a strong, sticky, foam tape which can be cut to any size. Pack size:- 5 rolls of 12mm X 2m. long.